Miracle Method Surface Refinishing exhibited at the Fifth Annual InterFace Student Housing Conference in Austin, TX. 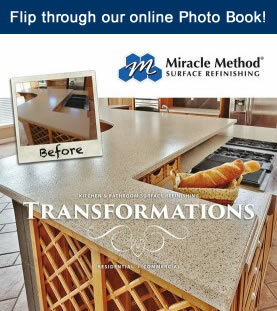 We demonstrated how the use of Miracle Method’s surface refinishing process vs. replacement of showers, bathtubs and countertops would provide both cost savings and upgrades to owners and managers of off campus student housing. In the past five years, Miracle Method has become the leading provider of surface refinishing soluti ons for on campus housing at dozens of major colleges and universities. Attending the Interface Student Housing Conference was our way of introducing our system to the owners of non university-owned housing properties.